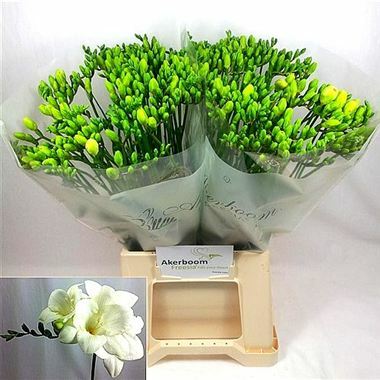 Freesia Ambassador Single is a beautiful, perfumed White cut flower. Approx. 48cm and wholesaled in Batches of 50 stems. Very popular in wedding flowers and flower arrangements.